One eternal question I ask myself as a mom with a family to feed is how to save on groceries. Everyone wants to cut their monthly grocery bill, but for most of us, stockpiling coupons just doesn’t cut it. If only saving money on groceries were as easy as pulling out a pair of scissors! After collecting thirty coupons and only saving $4 on a mountain of groceries, it seems like those Saturday morning clipping sessions just don’t pan out. 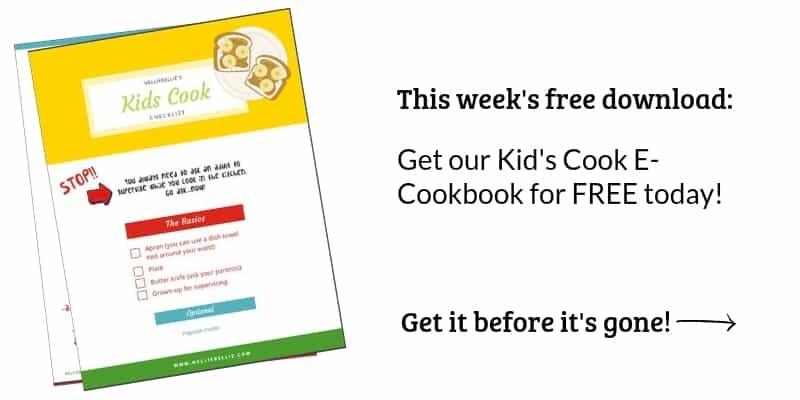 Whether you assemble an army of miniature helpers—aka your kids—or you slave away solo it’s time to stop cutting coupons, and start outsmarting the system so you can really start saving on groceries. 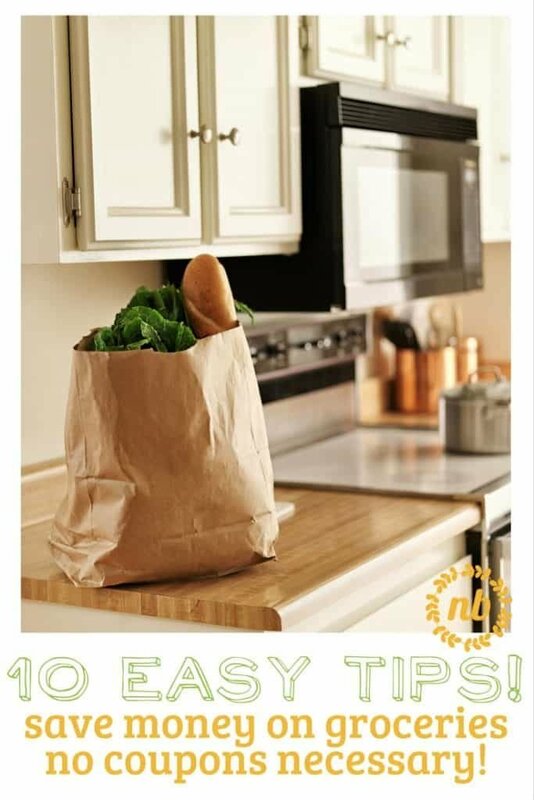 These 10 tips are a surefire way to help you bring your monthly food expenses down. Shopping the sales is the go-to first lesson when figuring out how to save money on groceries. Everyone and their mother—especially your mother—has taught you that when something is on sale, that’s when you buy it. However, if you do nothing else on this list, this needs to be your top priority. Usually you will receive weekly flyers in the mail for upcoming sales. Use these as your guide for saving on groceries. For example if crab legs, sweet corn, and wild-grain rice are all on sale, it might be time for a New Orleans style meal. By planning your menu ahead of time you also won’t waste money on excess food that you aren’t going to eat. Shop bulk on everyday items. Buying in large quantities is one of the fastest ways to save money. When purchasing in bulk, make sure that you are being prudent. For example, do buy large quantities of toilet paper, canned soup, toothpaste, and items that you use regularly; don’t buy 36 packs of chocolate covered peanuts in bulk. Have you ever heard the phrase: “there’s an app for that?” Well, it applies to grocery shopping as well. Time is money so being able to instantly scan your coupons from your smartphone is a no-brainer. Smartphone apps like Ibotta and Coupon Sherpa are popular apps that offer cash back on groceries – and they’re both free to download. Most of your major stores—think grocery apps for chains—will have some sort of an app that can be used to index all of the sales going on at a time. No more couponing, and you may even get a discount just for downloading the app! Who doesn’t love free money? In today’s society it’s common to see hundreds of dollars of groceries stockpiled into one cart. An extra bottle of ketchup (it was fifty cents off after all) an extra pack of Pepsi, and even a jumbo bag of kale may make it’s way into your shopping cart – even though you don’t really need the excess. Planning your weekly meals is one of the greatest ways to save money on groceries. Menu planning is the single best way to save money and cut down on food waste. You only buy what you need. While you should have some extra food lying around—you don’t need six extra bottles of olive oil, ketchup, and mustard sitting in your pantry—that’s $40 you could have spent on a necessary expense such as gas! Shop at a store such as Aldi, Sam’s Club, or Costco for non-perishables. You don’t always have to buy in bulk at such stores but you can find huge savings on things such as crackers, canned foods, and more. This might simply be a once a month shopping stop. Sometimes, you can even find pre-packaged meals, great deals on meat and seafood, or find discount alcohol at bargain prices—think single-malt and wine. Be prepared to spend a little more, but also be prepared to have a trunk full of cheap food! Shopping at the local dollar store may sound strange, but on everyday items such as dish soap, cleaners, deodorant, and even things like waste bins and mops, you can be sure you will be saving a lot of money. I don’t recommend buying generic for everything but when you can get the same thing for $3 less for ten items the extra $30 could be better spent elsewhere. Learn how to properly freeze produce. When I first learned how to properly freeze cut veggies and fruit, I started saving a ton of money on produce. No longer do I use only half of the package of carrots…I freeze the other half and use them later. If you really want to figure out how to save money on groceries, introduce yourself to the art of freezer cooking. You can stock up on ingredients when sales are in their prime, cook, and store meals for those extra-busy nights when you don’t have time to start a meal from scratch. Have you ever scrambled to tell ‘Siri’ your grocery list, only to have your phone die? Or, have you ever come home from the store only to learn that you needed more eggs? If you’d like to use your phone as a grocery list, yep – you guessed it, there are apps for that! Check out Grocery Pal or Out of Milk; two budget-friendly grocery list apps that are free to download. Place a magnetic notepad on your refrigerator, or somewhere in your kitchen where your family can jot down items that are running low. When you are about out of soy sauce, it’s good to know that before you make chicken teriyaki and fried rice. Ingraining this healthy habit will save you a lot of time and headaches. For the overachievers among you this is perhaps one of the most glorious “how to save money on groceries” tips you will ever receive. Create a binder with every food item, condiment, sauce, spice, and misc. (think alcohol or cleaning products) that you purchase on a monthly basis. Most of us buy the same products over and over again, so instead of buying eight bags of chips because they are on sale only to find that you have another eight already at home—do yourself a favor and catalog your stockpiles. Use large printed text and create multiple checkboxes so that you can use the same piece of paper month after month. By doing this you can quickly glance at your binder before you make your grocery list. This is more practical for singles who have other single friends. Instead of buying an entire bottle of jumbo ketchup, buy one and split it with your friend. Do the same with jumbo bags of jasmine rice, cereal, eggs, or cupcakes. Not only will you save a few bucks per item, you also might find it awesome to have someone else who can benefit from a BOGO offer. If you have elderly parents or someone who won’t use as much as is packaged, this can be especially effective. Saving money shouldn’t feel like drudgery. Being proactive in making the most of your finances starts with having a plan. It also includes having awesome ways to make the most of your time, money, and resources. Finding great recipes, discount stores, and other cost-effective ways to help with your grocery shopping is so important when it comes to making figuring out how to save money on groceries and making the most of your budget. What are some of your favorite ways to save money on groceries? Are there any other tips that we missed?